But Freud wants to propose a similarly astonishing contention for individuals as well as for larger groups: our attempts to defend ourselves from pain rebound on us and cause us still more and still deeper unhappiness. There are plenty of reasons, Freud suggests, why civilized man might be unhappy. Not least, for instance, is the fact that we are forced to restrain our libidinous desires, which are policed and restricted to socially-approved love-objects (a unique partner in a monogamous heterosexual relationship), sublimated into “higher” pursuits (art, education, politics), or simply repressed. Moreover, we are also forced to restrain our instinct for aggression, which likewise has to find approved outlets (expressed as hatred of the stranger, the scapegoat, or sublimated in the pursuit of war, sport, politics again) if it is not be stifled altogether. But Freud’s “economic” theory of the drives–derived, it has to be said, from a rather primitive, mercantilist version of Economics–states that instinctual energy never fully disappears. The repressed returns, and in its new incarnation is all the more threatening and destabilizing in that its original occasion is now long forgotten. As with Nietzsche, moreover, for Freud the deepest unhappiness of civilized man revolves around his feeling of guilt: a guilt which is quite strictly undeserved because it is prompted by what may happen, rather than by what has. Indeed, Freud distinguishes between guilt and remorse, where remorse is regret for any actual injury that has been incurred by the other; guilt by contrast is anticipatory or speculative, in that it encompasses any injury that may be or may possibly have been incurred. Guilt is not so much a response to what happens out in the world than it is the consequence of our having internalized and turned against ourselves our own aggressive instincts. Guilt is prescribed us by our super-ego, an introjected combination of parental disapproval and repressed aggressiveness. And yet it is the super-ego that, in communities as much as in individuals, is given the task of keeping our desires in order, of ensuring coherence and cohesiveness. It is the super-ego, with its imposition of a pre-emptive sense of guilt, that keeps both civilization and individuals together, restraining the dissipative tendencies of our instinctual drives. Nietzsche once wrote: “What does not kill me, makes me stronger.” Freud’s motto might almost be: “What makes me stronger, also kills me.” Or as he puts it, “What a potent obstacle to civilization aggressiveness must be, if the defence against it can cause as much unhappiness as aggressiveness itself!” (146). And note that almost exactly the same could be said about libidinous desire, which is just as much a threat to civilization, but without which civilization would be unimaginable. Yet if Freud is never as hopeful as Nietzsche–who is always seeking to affirm the will and the affects, even ultimately the will found in the will to nothingness itself–nor is he ever quite as apocalyptic, despite the sombre tone added in the final line of the book’s revised version. “Who can foresee,” Freud here asks, whether Eros or Thanatos will finally win in their eternal struggle against each other, “and with what result?” (149). Earlier, by contrast, he had stressed that that the two drives, desire and aggression, almost always come together, “alloyed with each other in varying and very different proportions” with the result that they “become unrecognizable to our judgement” (106-7). In the end, for Freud the difference between love and aggression is undecidable; we simply have to live with both. Ambivalence is all. Very well done Jon. I really enjoy these. Does Freud intend what he says about desire and aggression to apply to both genders? Beasley-Murray, Jon. 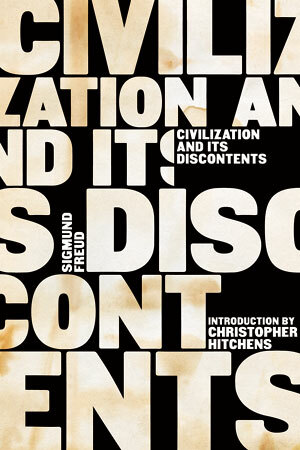 “Civilization and Its Discontents.” Blog Post. Posthegemony. WordPress, 3 February 2013. Web. Accessed 23 November 2015.